During any given work week, even the best teams run into roadblocks that hinder efficiency. 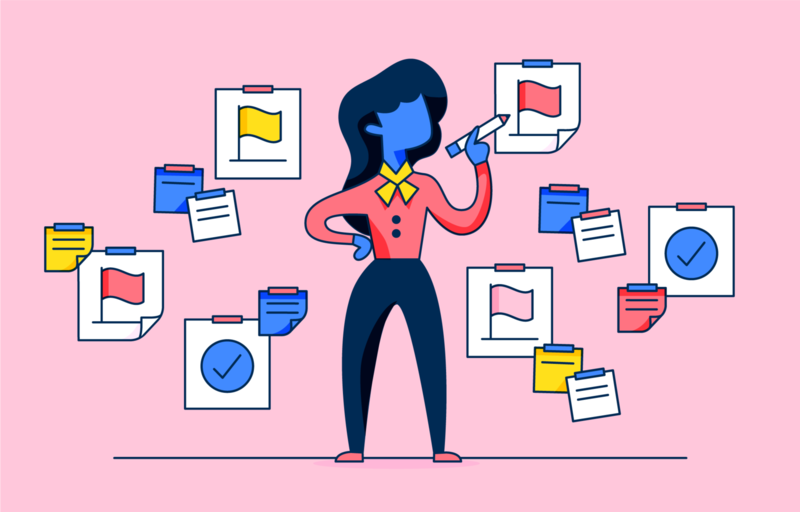 Unproductive meetings, email bloat, and not knowing what everyone else is working on can prevent your team from crossing items off your to-do list and doing them well. To help you and your team increase your efficiency mojo, use these eight tips to help you improve both the speed and quality of your team’s work. If planned without a clear agenda or objective, even short 30-minute meetings can add up and eat into the amount of time your team has to work toward tangible goals. Instead, ask yourself (and your team) if you really need that meeting. If it’s an update on a project’s status, could you send out a digital update instead? If your role in the meeting isn’t clearly defined, is your presence definitely needed? By eliminating unnecessary meetings, you can give everyone more time to focus on the work that matters. On any given day, each of your employees may have ten different tasks to complete across multiple projects. In the moment, each of them seems important and urgent. Where should they start? Where should they devote the bulk of their time and brainpower to do their best work? Naturally, some tasks and projects are more important than others. That’s where having a well-defined set of goals and an idea of how your work ladders up to them comes into play. Your shorter-term goals provide a firm foundation for longer-term goals, such as a product roadmap or release. Having a clear vision for what tasks align with company- or department-wide goals helps keep everyone on the same page and empowers individual team members to make decisions that impact the big picture. When you have a clear understanding of how your work ladders up to company goals and objectives, you can better understand which projects and tasks will have the largest impact. Focus on those pieces of work before you move onto less impactful tasks. If a task or project is not supporting your company’s larger, more overarching goals, objectives, or mission, rethink whether it’s necessary or not. 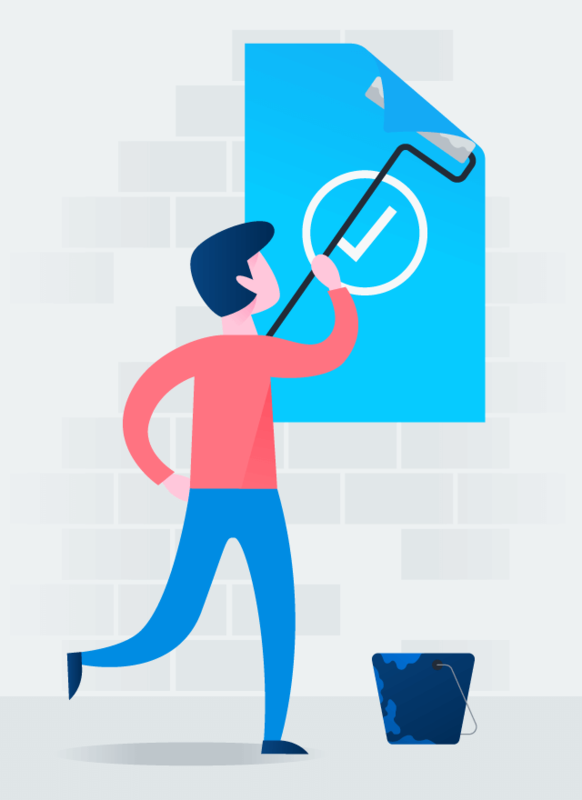 Once you’ve taken a look at the bigger picture and identified what work needs to be done and which tasks are a priority, here’s how you can make the most of your time: delete, defer, delegate, or diminish lower priority tasks. Building on the principle outlined in tip two, if an aspect of a project does not support an overarching company goal—delete it. If there is a more pressing project that has a greater impact on team goals, complete that task and defer a less important task for when you have more time to tackle it. If there are two tasks of equal importance assigned to one person, delegate one of those tasks to another team member with more bandwidth. If there is a task you can’t defer, delete, or delegate, find ways to diminish the amount of time it takes to complete. Eliminate meetings related to this task, shorten meetings, or reduce their frequency. You can also work on the highest priority parts of a project and defer the rest until later. No two employees are alike. Each person has different experiences, strengths, and weaknesses that make them a valued member of your team. Similarly, different people enjoy doing different work. For instance, one person on your team may enjoy conducting and organizing research into a report, while a different teammate would rather chew glass than compile research findings. Once you know what needs to be done and who will do it, it’s time to make a plan of action for your team to follow. Having a well-thought plan that’s been clearly mapped out from the beginning can eliminate additional “work about work” at a later time. To start, make sure each of your team’s projects have a clear plan. Mapping out a project from the start ensures that realistic timelines are in place for each project milestone, all the way up to completion. Each person knows who is responsible for completing a piece of the puzzle and has 360-insight into what’s underway and what has been completed. Then, coordinate and schedule all of your projects across your program that make’s the most of your team’s time. Using a work management tool can help you set up all of the smaller tasks that lead to accomplishing a larger goal. 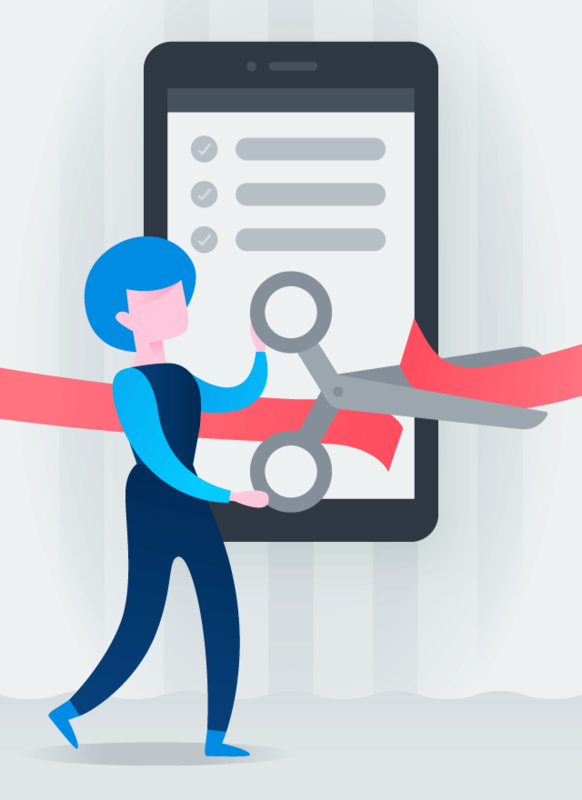 Making use of existing or custom templates within Asana can help you replicate a process that’s worked before and make sure that no step is left out and no work slips through the cracks. Just because you work in a different department doesn’t mean you can’t work together. After all, you’re working toward the same goal as part of a larger company. Knowing what other teams are working on can encourage teams to collaborate with one another when work and goals overlap. At Carta, an SEC-registered transfer agent that helps public and private companies issue and manage securities, compliance specialist Jina Kim relies on Asana to encourage collaboration across all of their business units, see who is working on what, and understand how each team and team member’s projects impact one another. “For example, the support team comes in one day and they realize that something has changed in the product overnight, they need a way to find out,” observed Jina. Work management tools can increase cross-team visibility, mapping each phase of a project back to a singular set of goals. These tools can serve as a centralized hub to share what you’re working on with the rest of the team and identify areas where people of different responsibilities can collaborate. Attending meetings can disrupt your flow of productivity, making it harder to “get in the zone” and finish a project. Having at least one full day at the office devoted to deep work—that sweet, sweet block of several uninterrupted, meeting-free hours to dedicate to a project—can go a long way toward improving efficiency and productivity. At Asana, we have No Meeting Wednesday, which allows everyone to engage in heads-down work without worrying about meetings. We ask employees to avoid scheduling internal meetings on Wednesdays and to be considerate of one another’s schedules. This allows all team members to have large blocks of time to “do” work instead of just talking about work. As a result, the team has more time to analyze, execute, and review critical processes on projects. Many employees cite No Meeting Wednesday as their favorite day of the week and often see projects crossing the finish line on Hump Day. Every team has a variety of communication tools at their disposal, but they’re only useful if your team knows how and when to use them. To help them out, clearly define the purpose of each communication channel. For outside communication with vendors and clients, stick to email. For immediate answers to questions, use an app like Slack. And to plan, manage, and communicate about actionable work, stick to a work management tool like Asana. While communication tools can make your team much more efficient, using them inconsistently can actually create more work. If you see a tool’s purpose can be replicated through another channel (with additional, unique benefits), it should be eliminated. As a result, your team will need fewer tools to communicate with each other and use each one to their best benefit. Improving efficiency is a continuous process. It may seem overwhelming, but simple tools and tactics can help make everyone on your team more efficient. And the more fluent you and your team become in using these tools, efficiency becomes second nature and a built-in part of any project. 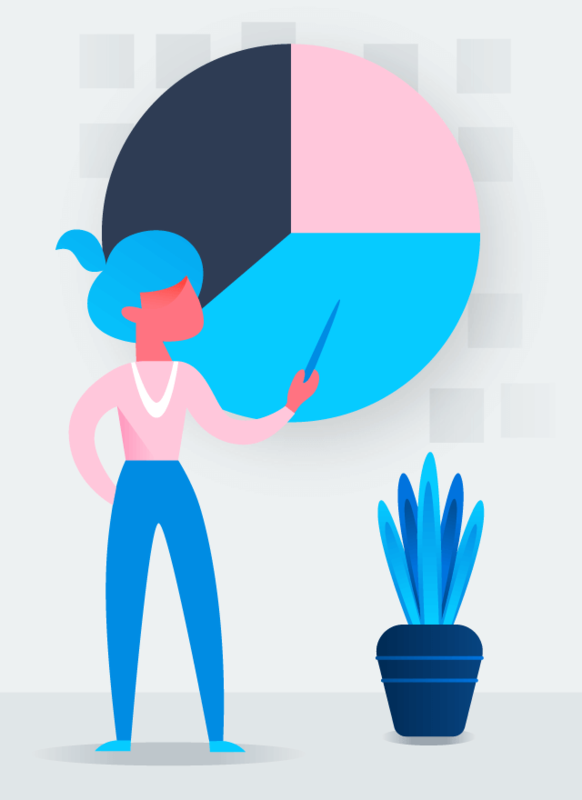 Learn more about how Asana can help make you and your team more efficient and get ideas to put into practice within your own organization. 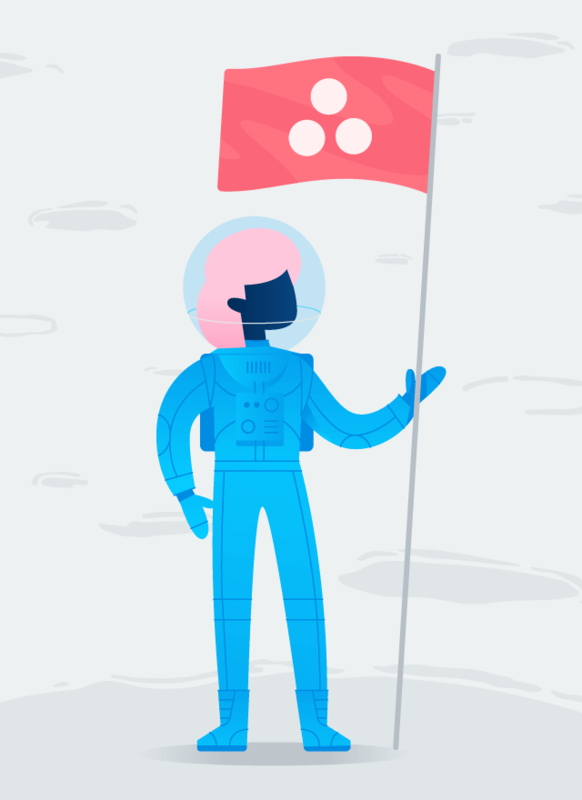 Want to manage projects with Asana? Start a trial today.